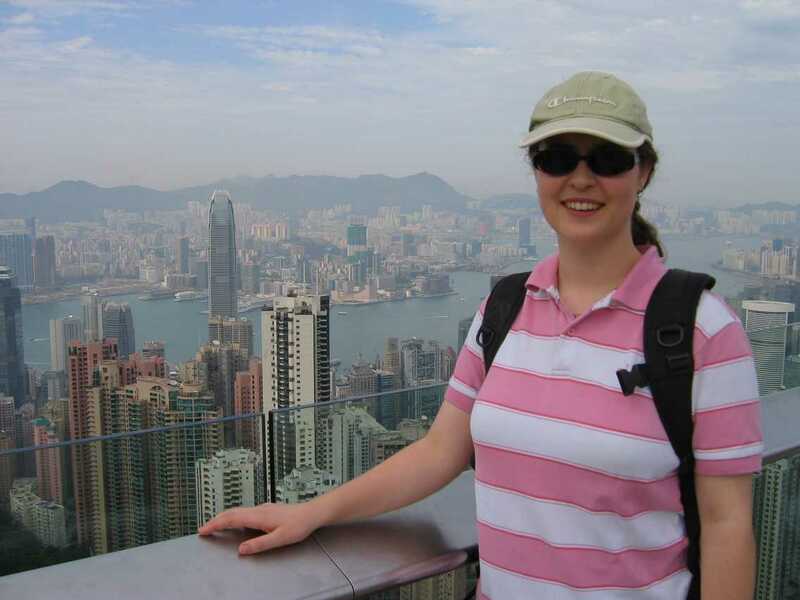 During the May holidays we went to Hong Kong for a day. We hadn't been to Victoria Peak since our introductory trip, the January before last, where it was cold and the breath formed in front of our faces when we exhaled. Being more confident in our way around the city, we took a No. 15 bus from Central, just below where we ate lunch (the trusty OOO's, which is wearing a bit thin, so next time it's off to somewhere else). It was around 45 mins, I think, from go to woah, and was an excellent way to see part of the city. Hong Kong doesn't seem that big sometimes, even though it's densely packed with people. We have respect for the bus drivers, who manoeuvre the bus in some very tight corners along narrow streets. 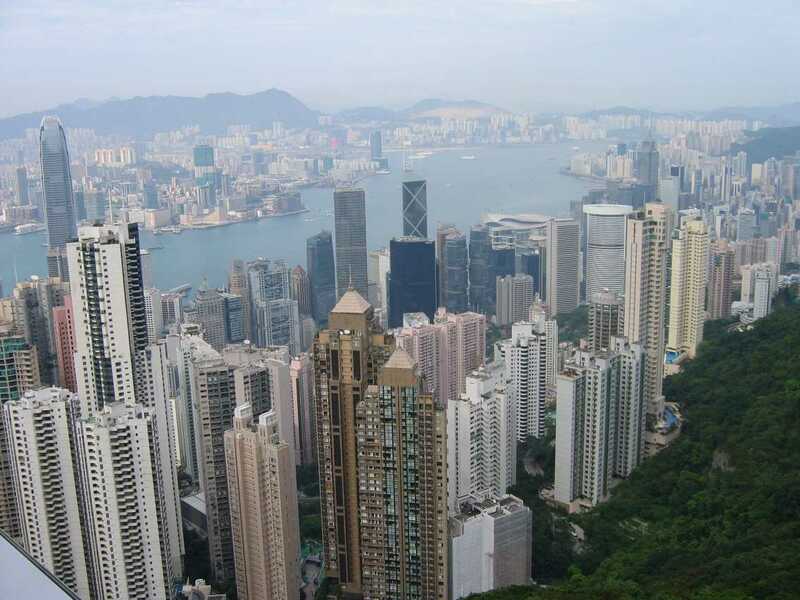 Victoria Peak is located on Hong Kong island and this time the view was much better. The shut-down of many of the mainland Chinese factories had cleaned up the air somewhat. 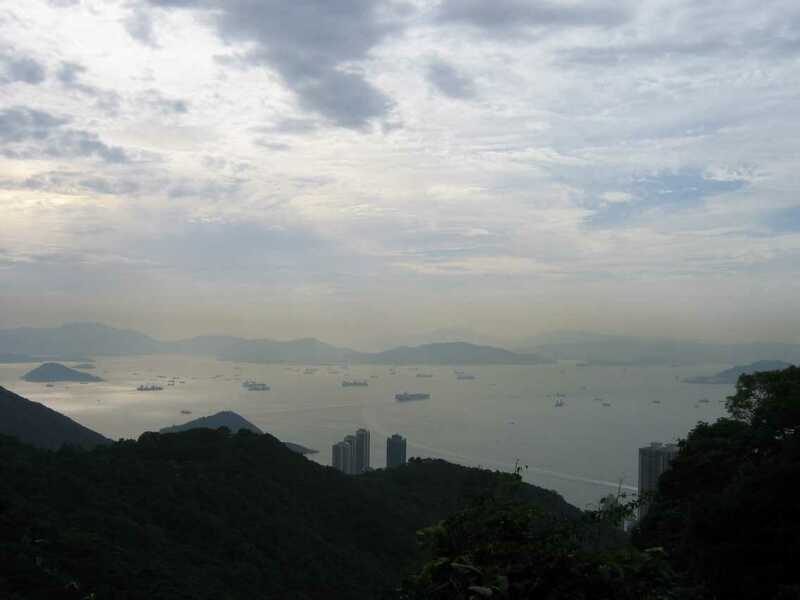 We had a very clear view of the city, both the island part and the Kowloon area on the mainland. There's a number of walking trails around the peak area. We chose to do a 1 hour loop around the peak proper. There's a number of houses nestled discreetly away amongst the trees on the mountain. It turns out that the walking trail is actually the driveway for the people that live in this area. In many places it's barely a car's width wide. It was quite amusing when 2 cars met going in opposite directions and the guy that was required to back up clearly couldn't do it. After about 10 minutes of to-and-fro eventually the way was cleared and we continued on our merry way. Looking east and south from the peak the land falls away into the sea and reveals a smattering of other islands surrounding the main Hong Kong island. In amongst these islands ships jostle for space whilst awaiting their turn in the port. Looking back up the bay the water is just surrounded by masses of apartment and office buildings. Hong Kong really is life in a concentrate. 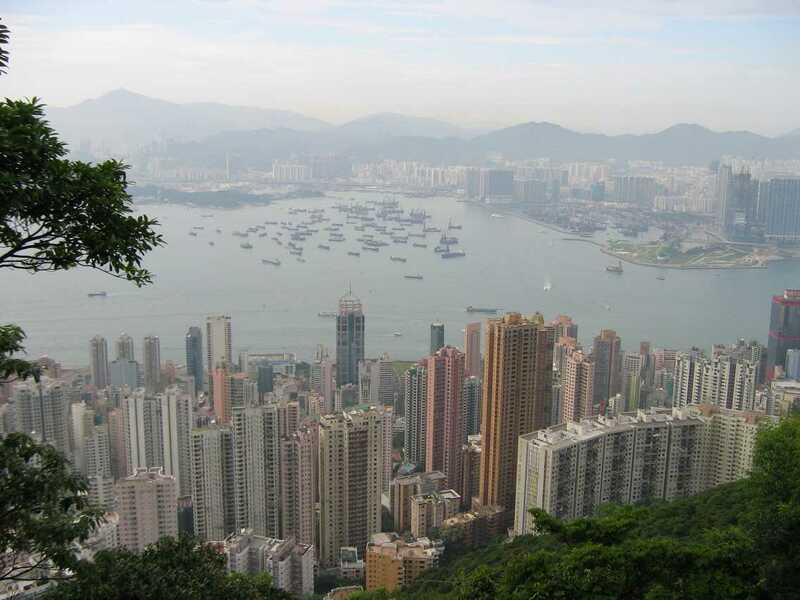 As always, Wikipedia has a good entry about Victoria Peak too.